There’s a full mon tonight, as I’m sitting in my terrace listening to the waves, and recovering after the stress and excitement of yesterday’s book launch. I have already discussed the symbolism of the moon in Jane Eyre in earlier posts: The Moon in Jane Eyre Part One and The Moon in Jane Eyre Part Two. This time, I can’t resist writing a post on two occasions in which the moon is a present in important scenes in Twelfth Night at Eyre Hall. 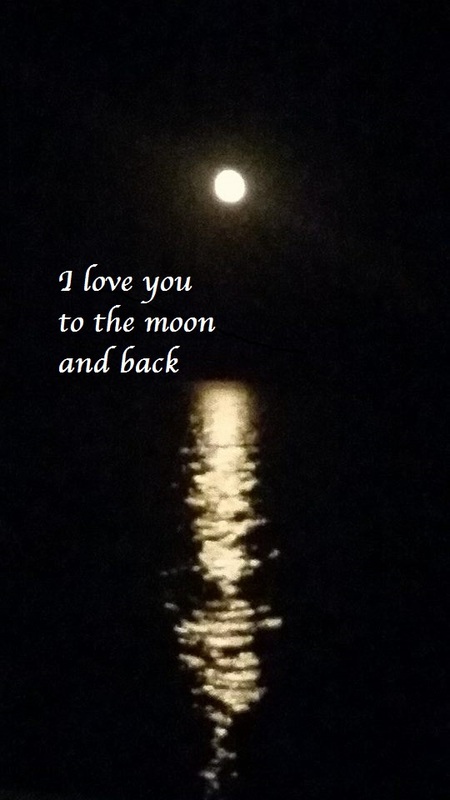 The moon, especially in combination with the sea, radiates mystery and magic, and is closely connected to the subconscious, in the shape of dreams and wishes associated with love, especially when it seems unattainable. In Twelfth Night at Eyre Hall, the moon appears rippling on the sea, during long voyages, on various occasions. The first time is in Chapter 1, when Michael goes up to the deck after a storm while he’s returning to England. That evening, I could not find rest, so I returned to the deck to pray for the dead. The sea was as still as a mirror, alight with the sparkling moon and starlight. It would have been a beautiful sight if my eyes had not been clouded by the curse of emptiness. I dug the red button out of my jacket pocket and held it up to the waxing moon. Its shape pierced through the holes confusing my stunned eyes into seeing a vision of soft pale skin and long auburn hair. I had willed myself not to think about Jane, although it was impossible to forget the reason I was a living corpse. Michael had travelled thousands of miles to start a new life away from Eyre Hall and forget Jane, but on this occasion, after over a year away, he realises, with the help of the moonbeams (and other events which have occurred previously), that he has been a ‘living corpse’ without Jane. In the following excerpt, the moon appears during a final love scene in Chapter XXIX, between Annette Mason and another mysterious character. The moon was shining over the rippling waters, and a strong wind blew into my face, lifting my hair. His eyes darkened as his hands held my face close to his. I moved my lips closer to his in reply. I closed my eyes and listened to the waves breaking against our boat, rocking us gently in the middle of the ocean. I laid my arms on his shoulders and thought he would be easy to love if I could forget John’s tormented face, when he kissed me farewell and vowed it would be our last embrace. Annette is still in love with John, but the family’s secrets and lies make it impossible for them to marry, while another man, is determined to make her love him. Will he succeed? Does the moon appear in any important scenes in your novels? If you’re not a writer, can you think of any novels you’ve recently read where the mon appeared in an important scene? The Moon in Jane’s Arrival At Thornfield Hall and First Encounters with Mr. Rochester. This post is a continuation of a previous post on The Moon in Jane Eyre Part One: At Gateshead and Lowood which has been a very popular with readers interested in Jane Eyre. The moon makes many symbolic and significant appearances at Thornfield Hall, so this post will also come in two parts. 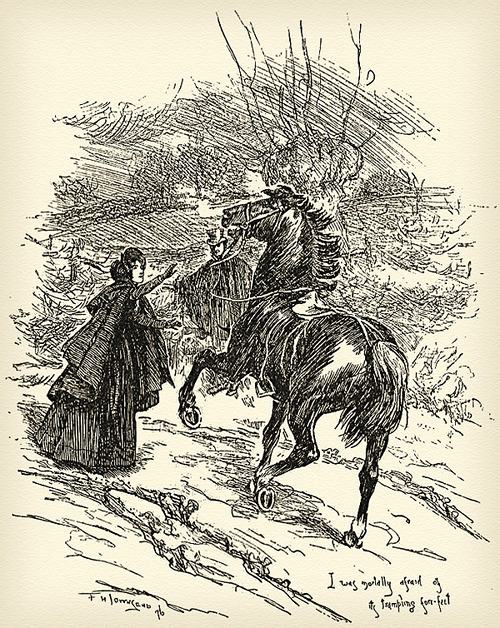 This first part refers to Jane’s arrival at Thornfield hall and her first encounters with Mr. Rochester. The rest of her stay at Thornfield Hall will be covered in another post. ‘None that I ever heard of,’ returned Mrs. Fairfax, smiling. Jane and Mrs. Fairfax continue their tour to the attic, which Jane describes as black as a vault. They walk up a very narrow staircase and then with the help of a ladder through a trap-door to the roof of the hall and a view of the surrounding countryside, which Bertha is denied. Bertha’s room was described as ‘windowless’ and the rest of the upper floor was dark and gloomy, probably due to small windows and heavy curtains. The moon, which has been a positive omen in Jane’s life, lighting her way in dark moments, and announcing the appearance of positive characters, is denied to Bertha who must live concealed in absolute darkness. Notice also the lies Mrs. Fairfax tells Jane when she claims there are no legends of ghosts, yet all the servants are aware of Grace Poole’s secret charge in the attic and the strange noises, which they all hear on occasions. The lack of moon in this instance indicates a moral as well as physical darkness, as it encloses falsehood, as well as captivity and concealment. I lingered till the sun went down amongst the trees, and sank crimson and clear behind them. I then turned eastward. On the hill-top above me sat the rising moon; pale yet as a cloud, but brightening momentarily, she looked over Hay, which, half lost in trees, sent up a blue smoke from its few chimneys: it was yet a mile distant, but in the absolute hush I could hear plainly its thin murmurs of life. Something of daylight still lingered, and the moon was waxing bright: I could see him plainly. His figure was enveloped in a riding cloak, fur collared and steel clasped; its details were not apparent, but I traced the general points of middle height and considerable breadth of chest. The moon is not yet full, but it is ‘waxing’ or in the first quarter growing into a full moon, indicating the initial moments of a great event. After describing him in great detail, he asks her what she was doing on the causeway. There follows an important quote regarding the moon. Jane herself admits it is a positive omen, which assists her as she walks at night, and metaphorically through her own, uncertain life. It is also significant that the mood is shining directly on Thornfield Hall, signaling it out as a safe place for her. ‘You live just below—do you mean at that house with the battlements?’ pointing to Thornfield Hall, on which the moon cast a hoary gleam, bringing it out distinct and pale from the woods that, by contrast with the western sky, now seemed one mass of shadow. Jane herself describes the moon as an element of security. It is her home, the place where she feels safe, which, at the moment, is Thornfield Hall. The moon lights her path, showing her the way to her errand and back home. It has also enabled her to scrutinise Mr. Rochester carefully, pointing out to her a person who will have a great influence on her life. We saw in part one, that Miss Temple was introduced to Jane in a similar way. On her way back from posting the letter, she lingers at the gates of Thornfield Hall before entering. She watches the moon and the stars in awe, aware that something of great importance has occurred, although she is not yet able to fathom what has happened. I lingered at the gates; I lingered on the lawn; I paced backwards and forwards on the pavement; the shutters of the glass door were closed; I could not see into the interior; and both my eyes and spirit seemed drawn from the gloomy house—from the grey-hollow filled with rayless cells, as it appeared to me—to that sky expanded before me,—a blue sea absolved from taint of cloud; the moon ascending it in solemn march; her orb seeming to look up as she left the hill-tops, from behind which she had come, far and farther below her, and aspired to the zenith, midnight dark in its fathomless depth and measureless distance; and for those trembling stars that followed her course; they made my heart tremble, my veins glow when I viewed them. Little things recall us to earth; the clock struck in the hall; that sufficed; I turned from moon and stars, opened a side-door, and went in. She soon realizes that the man she met was her employer. The following day, Mrs. Fairfax informs her that Mr. Rochester requires her presence for tea in the drawing-room. Mr. Rochester makes the usual inquiries an employer might make about her family, past life, and how she came to work at his house. The conversation then takes a strange turn and he accuses her of being a witch and using magic, with the help of her ‘people’ and the moonlight, to throw him off his horse in their first meeting the previous day. She tells him jokingly there are no such beings in England any more. Selena is commonly depicted with a crescent moon, as in this picture, often accompanied by stars; or a lunar disc. 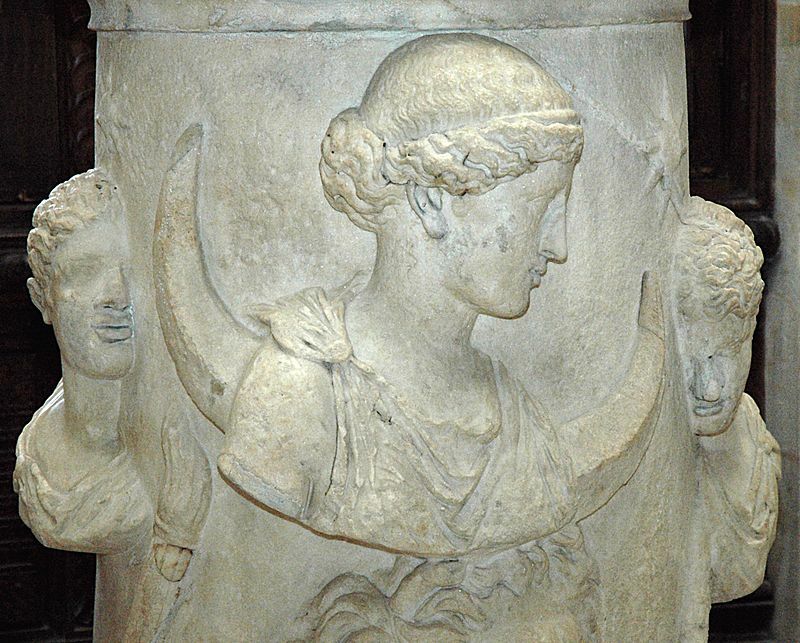 The Moon-goddess Selene or Luna accompanied by the Dioscuri, or Phosphoros (the Morning Star) and Hesperos (the Evening Star). Marble altar, Roman artwork, 2nd century CE. From Italy. In Greek legend Latmos, or more correctly Mt Latmos, is where the goddess Selene first saw and fell in love with Endymion, vowing to protect him for ever. He tells her to leave him, as soon as he realizes that he has associated her with the goddess. It is interesting that Jane, herself, does not make this association. It is his own fear of the emotions she has stirred in him that makes him practically throw the three women out of the room. It is interesting to notice how Mr. Rochester has a contrasting view of the moon to Jane’s. He fears the moon and considers it a negative omen. Mr. Rochester associates the moon with female love or lust, which he fears, and witchcraft, which he also associates with love spells. The reader is aware that he is a tormented man, and that this torment is due to unfavourable experiences with women. We have no proof yet, but it seems he does not want to fall prey to another woman brought to him by the moon. He probably also associates the moon with his wife’s lunacy, but of course, at this point, the reader is not yet aware of any of these events. In part three we will learn more about why Mr. Rochester considers the moon as a negative omen.